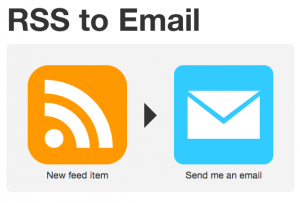 If you’ve followed along with our IFTTT article last week, you’ve seen how easy it is to set up some simple email notifications for when your favorite blog (Appbite, wink, wink) posts a new article. But what happens if you have more than a few blogs you’re following and they’re all pretty active publishers? WEll, the gist of it is that you’ll see a ton of email coming to your account. That may be fine for some of us who live in our Inbox, but for others, email is counter-productive. But fear not, there’s an easy way to stay up to date with Appbite and other blogs without worrying about email overload. 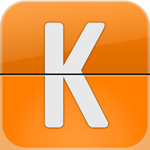 Enter RSS readers. 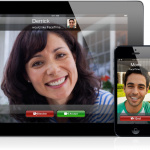 Click here to get the bite on - Does Facetime cost money ? Planning a trip can prove to be a real nightmare. Once you pick your destination, there are so many things to do that you sometimes feel overwhelmed. Find a cheap flight or a car to rent, book a room at a hotel or rent a house…and that’s just the beginning. Once you get there, you have to see where to eat, what to visit, what outdoor activities are the most fun and what to do to make the most out of this trip. And a single thing like not being able to communicate to the people around you because of the language barrier can ruin your trip completely. But that doesn’t mean you should give up traveling. Especially when there are so many apps that can make all these problems just magically disappear. And here are just 5 of them. 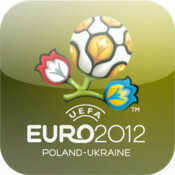 Euro 2012 is finally here. And what better way to celebrate it than with 5 soccer apps? Besides watching the games, of course. They’re fun, they’re new, and they’re guaranteed to get you in the game frenzy. 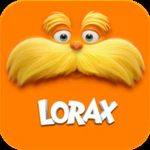 The Apple AppStore has been around for four years now, and Hollywood for a whole lot more than that, but it’s only been in the last couple of years that box office hits found their way in one for or another on our iPhones and iPads. Apps that aimed to introduce us to the world described in the movie, or games that stranded from the original movie plot. Sometimes, the movie is better than the game, but sometimes, the game goes way beyond of what the movie offers. I’ve quite enjoyed the Cowboys and Aliens game that came out last year, but dreaded the money I spent to watch that movie. I really liked 2012 the movie, but found the game to be too…away from the movie. It’s time for some latest tips on how to better take advantage of your iPhone and iPad. A lot of the times we were asked how you can send multiple photos from your camera roll via email to friends. Other readers had issues with the iPhone’s screen rotating from landscape to portrait at the most inconvenient times. Plus, we discover how we can turn any iBook into an Audiobook without any extra apps. So you’ve taken a bunch of photos at the party and you want to share them with everyone who was there. Simple enough. 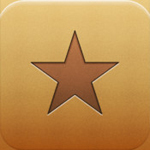 Go to the Photos app and locate the photos you want to share. Press the ”Share” button up top, before selecting any one photo.